We asked for your questions and received more than 1,100 responses within five hours. Below are some answers to our most frequently asked questions. Does this mean that now we may not be allowed to leave the EU? The court ruling does not mean the end of Brexit. The case was about the government's right to trigger the formal two-year process of leaving the EU without there being a vote in Parliament. The government is going to appeal against the decision, but, as things stand, the ruling means MPs and lords will have to give their go-ahead before Prime Minister Theresa May starts her negotiations on the UK's exit from the European Union. Theoretically, they could decide not to give the go-ahead - but, in practice, that is seen as highly unlikely given that a majority of people who voted in the June referendum voted for the UK to leave the EU. What was the legal basis that swayed the decision? Legal affairs commentator Joshua Rozenberg said the decision had been based on the argument the government could not use its executive powers because it would mean effectively overturning an act of Parliament. Triggering Article 50 would eventually lead to the UK leaving the EU, which effectively takes away rights granted by Parliament, such as the right to free movement in Europe. The High Court ruling effectively defined the limits of government power by reiterating that Parliament is sovereign - it can create laws and only Parliament can take them away. What legal argument will the government use next month? We do not know yet, but it may try to repeat the argument that its prerogative powers allow it to trigger Article 50 because that in itself does not mean an immediate change to UK citizens' EU rights. What is the legal situation on whether Parliament needs to pass a legislative act in order to trigger Article 50 as distinct from just taking a vote? Paragraph 13 of the ruling essentially states that a parliamentary motion is not enough to satisfy the terms of Brexit. UK membership is bound not in prerogative power, but in the 1972 EU Communities Act, and therefore needs primary legislation to be taken away. Brexit Secretary David Davis said: "The judges have laid out what we can't do and not exactly what we can do, but we are presuming it requires an act of Parliament." Was the referendum result mandatory or advisory? The EU referendum was advisory - as was discussed in the court ruling on Thursday. It points to the "basic constitutional principles of parliamentary sovereignty and representative parliamentary democracy" in the UK, which "led to the conclusion that a referendum on any topic can only be advisory for the lawmakers in Parliament unless very clear language to the contrary is used in the referendum legislation in question". "No such language is used in the 2015 Referendum Act," it adds. Could the case end up being decided at the European Court of Justice? Possibly, but it would be surprising if it was, according to Joshua Rozenberg, because the case is about the UK's constitutional requirements, not EU law. Who made the submission to the High Court? The lead claimant in the case is investment manager and philanthropist Gina Miller, who launched the case alongside London-based hairdresser Deir Dos Santos and a group called the People's Challenge Group, which is backed by a crowdfunding campaign. You can read more about Ms Miller here. Why does Article 50 need to be triggered at all? Article 50 of the Lisbon Treaty is usually considered to be the only legal way to leave the EU. It states that a country that decides to leave the EU has two years to negotiate "arrangements for its withdrawal, taking account of the framework for its future relationship with the union". This will involve unravelling UK-EU treaty obligations; such as contributions to EU budgets, and holding talks on future trade relations. However some have suggested that the UK could leave the EU by other means - by amending EU treaties or repealing UK legislation. Douglas Carswell, then a Conservative MP and now UKIP, tried to introduce a European Communities Act 1972 Repeal Bill in 2012. What are the implications of this ruling for the devolved administrations? Although negotiations over international treaties are normally powers reserved to the UK Parliament at Westminster, because leaving the EU could involve the removal of people's rights under EU law, the devolved administrations want to have their say in the Article 50 process. Ever since devolution to Scotland, Wales and Northern Ireland began in 1999, Westminster normally seeks the agreement of the devolved parliaments and assemblies if it is legislating on devolved matters. While Westminster debates a bill, legislative consent motions are passed in Wales, Scotland and Northern Ireland. Political difficulties could arise should they choose to vote on legislative consent motions relating to any bill to enact Article 50. On Friday the Welsh Assembly's senior legal adviser, Mick Antoniw, said he would seek to make representations to the Supreme Court during the government's appeal about the potential impact on Wales. SNP MPs may decide to vote against triggering Article 50 at Westminster - Scotland's First Minister Nicola Sturgeon said they would "vote in line with the wishes and the interests of the Scottish people", potentially delaying the process. A High Court case in Belfast last week saw a cross-party group of MLAs attempt to prevent Article 50 being triggered without a Parliamentary vote or a vote in the Northern Ireland Assembly. That case was rejected but those behind it are taking it to the Supreme Court. How does the High Court ruling affect the Great Repeal Bill? Much depends on whether the government wins its appeal to the Supreme Court and, if not, to what extent new legislation about triggering Article 50 is delayed by questions and amendments in Parliament. Theresa May announced the Great Repeal Bill - which would abolish the 1972 European Communities Act and transpose all relevant EU law on to the UK statute book after the UK leaves the EU - on the day she said she wanted to trigger Article 50 by the end of March 2017. The High Court ruling that the government cannot enact Article 50 without the backing of Parliament could delay that timetable. How does this affect the denied right to vote of 1.5 million British expats in Europe - does this give us hope for a veto? Many British expats were annoyed at not being allowed to vote in the EU referendum and there are moves by the government to scrap, by 2020, a rule that says Brits who have not lived in the UK for 15 years cannot vote in UK elections. However, this ruling does not stop the 23 June vote to leave coming into force, nor does it mean a second referendum, so expats who wanted to vote to remain in the EU are unlikely to be able to vote on the issue again. 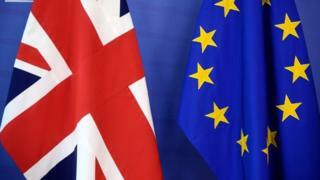 Even if there were a second vote on the issue, the government's "votes for life" proposal refers to UK parliamentary elections and says the "franchise for referendums will continue to be held on a case-by-case basis" - so it is not clear whether, in the event of a hypothetical second vote on Brexit, expats would get a vote anyway. Can Article 50 be revoked after it's been triggered? This has not yet been put to the test as no country has triggered Article 50 before and there seems to be some confusion. The Scottish cross-bench peer who wrote it, Lord Kerr, told the BBC this week he believed it was "not irrevocable" and, even if the process had begun, a member state could still choose to remain in the EU. However the High Court ruling states that it was "common ground" between both sides that Article 50 "cannot be withdrawn once it is given". What happens if, after two years, the UK and EU are still negotiating? Once Article 50 is triggered, the UK has up to two years to negotiate a deal with the EU. But what if it runs out of time? Robyn Munro, from the Institute for Government, says there are three options: 1) the UK could get an extension on the negotiating period if all EU members agree, 2) the UK could try for an "interim deal" while negotiations continue after two years - perhaps with some access to the single market but losing its influence in the EU and 3) the UK could leave without any agreement, and treaties would cease to apply. This would mean falling back on WTO rules for trade but there would be much uncertainty over other areas such as the rights of UK citizens who live and work in the EU, EU citizens in the UK and whether UK airlines would have the right to fly into EU airspace.